Ten Thousand Waves (on display 30 March–28 August 2018) is the most recent in a series of major moving image acquisitions by the Whitworth, and was supported through Art Fund’s Moving Image Fund. Rooted in the Morecambe Bay tragedy of 2004, in which 23 Chinese cockle-pickers drowned off the coast in northwest England, this cinematic three screen installation explores contemporary experiences of desire, loss and separation. Julien interweaves news footage of the rescue mission with the legend of Mazu the Sea Goddess, protector of seafarers, alongside scenes of the Guangxi province in southern China where the cockle-pickers’ spirits journey back to the 'Middle Kingdom', and the rapidly transforming city of Shanghai. Combining archive footage with fiction scenes shot in China, Ten Thousand Waves alludes to both traditional and contemporary Chinese visual culture. 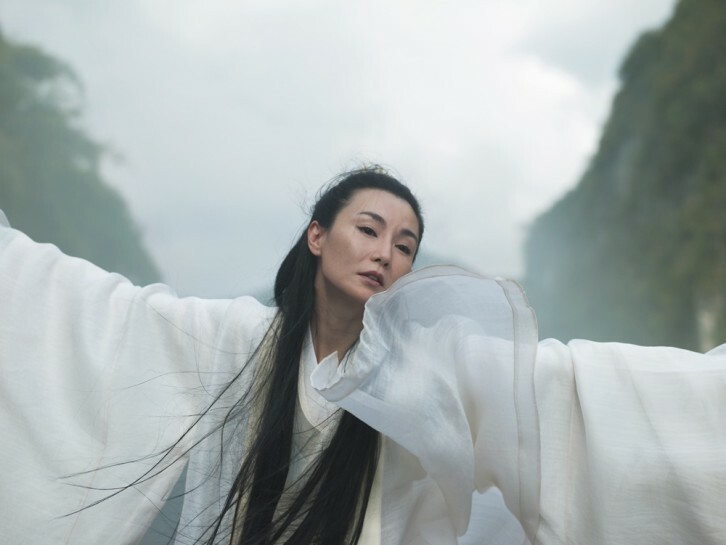 It features leading Chinese artists and performers including actresses Maggie Cheung and Zhao Tao, video artist Yang Fudong, master calligrapher Gong Fagen, cinematographer Zha Xiaoshi and poet Wang Ping, whose verse pays tribute to the ‘lost souls' of those who died in Morecombe. The film’s score fuses Western and Eastern styles, incorporating music and original score by Jah Wobble and the Chinese Dub Orchestra as well as by the classical composer Maria de Alvear.